Coir mats are true staple in the doormat industry and this Beware of Dog Coir doormat is no exception to this. Made from natural fibers taken from the husks of coconuts this Coir Coco mat is a natural environmentally-friendly product for the Green lover in your home. It is created by tightly weaving the coconut husk fibers together into a mat and securing them to a recycled rubber base. They form a good non-slip aggressive scrapping doormat. In addition because it is woven there are enough gaps to let dirt and debris travel into the mat and off the shoes of your guests and visitors. 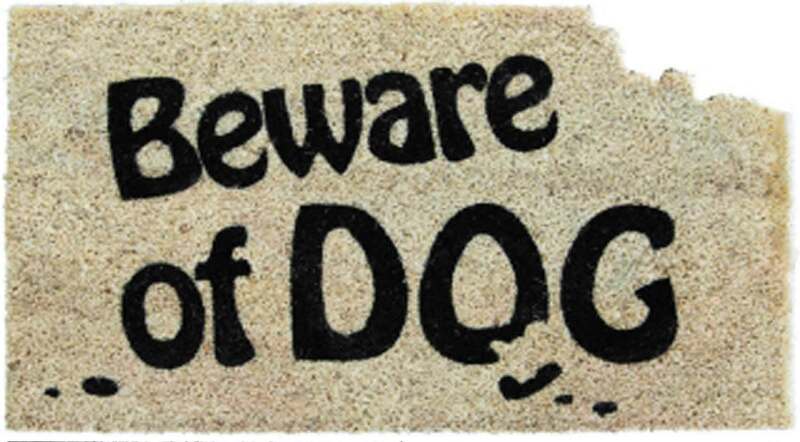 The Beware of Dog Welcome Doormat is an easy way to decorate your front porch or steps and let everyone know about your furry family members. 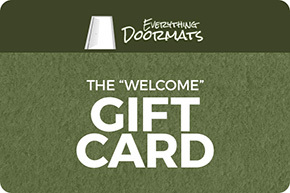 When used as a standalone welcome mat this coir mat is 16" x 28" x 1/2". 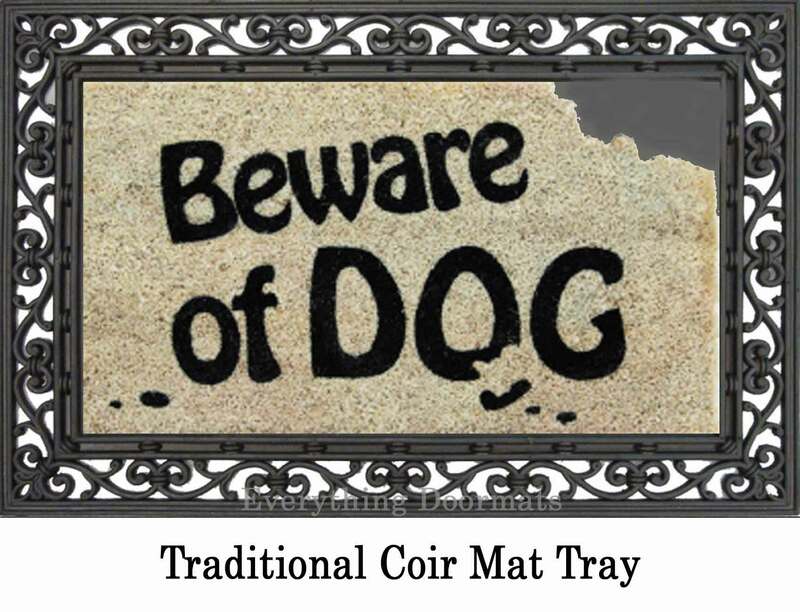 Note: The Beware of Dog coir mat is pictured in our Scrollwork Coir Mat Tray which is sold separately or can be added to your order in the drop down box above.